The Factor Dual Function Shower System is both reliable and stylish and delivers a superb showering experience. Suitable for all plumbing systems with a minimum pressure of 1.0 bar and above. 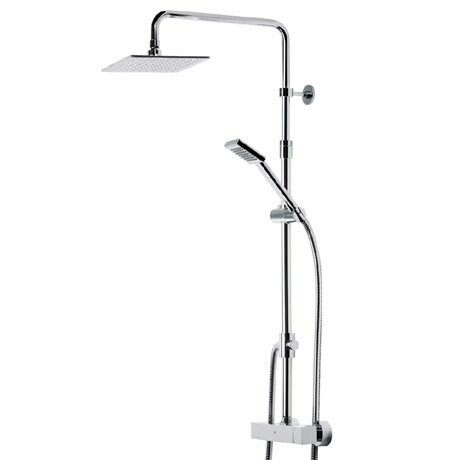 Package includes a top outlet thermostatic bar valve, a bar valve quick fixing kit, height adjustable rigid riser rail with diverter, 200mm shower head, Square single function shower handset and shower hose.